Every case deserves personal attention and aggressive representation and you don't pay unless we win. *Note: No charge for initial consultation. Contingency fee agreements only available in Personal Injury claims and are subject to approval by The Freeman Law Firm. We have successfully represented hundreds of individuals. 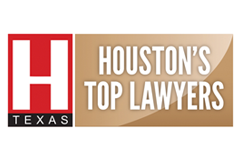 One of the only firms in the Houston area representing plaintiffs in residential construction disputes against builders. 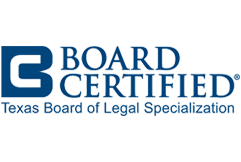 We are board certified in personal injury and civil trial law. In a perfect world, perhaps, there would be no conflict among citizens. In the real world, however, nearly everyone at one time or another will need to turn to the legal system to resolve a conflict equitably. If you are in a situation where you have suffered damages to your health, property, business, or quality of life, you will likely need to turn to the legal system for resolution. This can be a stressful situation, but having the right lawyer can make all the difference in making the process less stressful and achieving the best outcome the law allows under the specific circumstances you are facing. You need a lawyer who has extensive legal experience and skill, an excellent track record of winning cases, a reputation for integrity in the aggressive pursuit of client interests, and a dedication to positive results for each and every client the firm represents. In Houston, Texas, whatever your civil legal matter, you will find a skilled attorney you can trust by contacting the law firm of attorney Ernest Freeman. We are able to offer you personalized, client centered, and highly focused representation that is only possible in a smaller firm while providing access to a diverse group of attorneys who focus their practice in specific areas of concentration. We have the extensive resources and community ties that you expect from a large firm. When you retain The Freeman Law Firm to represent you in your legal matter, you can be confident that you will receive top quality legal representation, aggressive pursuit of your interests, and ethical handling of your case at all times. We make it a priority to treat our clients with the respect, focus, and communication they deserve. We are committed to taking the time to listen and obtain a thorough understanding of your situation and needs, keeping you up-to-date on the status of your case, returning phone calls and emails in a timely manner, and involving you in the decision-making process. Our team of lawyers have decades of collective legal experience, and several are certified by the Texas Board of Legal Specialization for their experience in personal injury trial law and other areas of civil law. Each attorney at the Freeman Law Firm employs the latest computerized legal technology to stay current with changes in the law and court decisions that are relevant to your case. 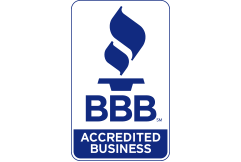 We are a Martindale-Hubbell AV rated firm representing clients throughout a wide multi-state geographical area including Southeast Texas and the entire Gulf Coast. Our attorneys have highly developed negotiating skills and can often settle a matter to your satisfaction without your having to appear in court. However, we are also savvy and experienced trial lawyers who meticulously prepare your case for trial when court is needed and are always ready to present a persuasive and thoroughly documented case to a judge and/or jury. 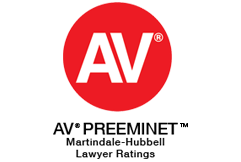 We handle state and federal legal matters at the pre-trial, trial, and appellate levels. Whether you are dealing with a personal injury or wrongful death, a case of medical malpractice, a business or contract dispute, a Houston construction defect in a new home, investment fraud, or any other type of civil legal matter, the attorneys of The Freeman Law Firm are here to offer expert legal advocacy backed by experience and a track record of successful outcomes for those we represent. Several attorneys at our firm are Board Certified by the Texas Board of Legal Specialization for their experience in personal injury trial law and other areas involving civil claims. My husband and I are very grateful to have been represented by Ernest Freeman pertaining to construction defects by a Home Builder. Due to extreme time constraints, Ernest was very responsive and quick to take appropriate action. It was very reassuring to know that not only did we have a competent team working for us, but also caring and humane ones, that took our case with the utmost importance and sense of urgency.